Gulf of Mannar - Explore Marine Majesty ! Copyright @ Clear Car Rental Pvt. ltd.. Powered by Blogger. 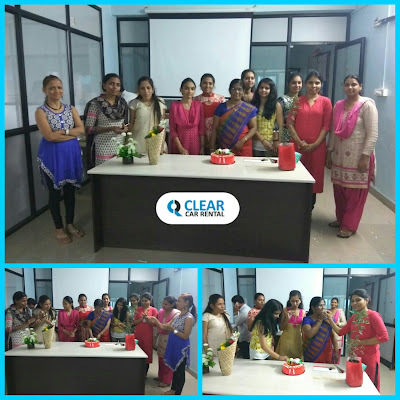 It was International Women’s Day on Thursday and Clear Car Rental team celebrated the day to let all women colleagues know that we celebrate and feel their importance at workplace. All the Management team of the organization and CEO of the Clear Car rental Mr. Sachin Kate were present during the event as a Chief Guest. Also they shared their thoughts on the occasion and reaffirm the company's commitment to the safety, equality and betterment of women in their work life. Many of women colleagues shared personal experiences and offered their views to one another during a discussion on the issues facing women in India. The event comprised many activities relating to women empowerment like enhancing productivity, work-life management, a quiz competition and tree plantation. Have a more fun and rides on coming weekend because Clear Car Rental presents a irresistible offer where you can get Rs.100 Bookmyshow voucher on our outstation cab bookings. If you are planning to book an outstation cab then hurry, grab this offer before it's gone. Booking period : Limited coupons hence first come first serve basis. 1. Visit www.clearcarrental.com or use the Android app. 2. Enter the source city, destination city, date and time of journey, and click search cab. 3. From the search results, select the cab type you wish to hire. 4. Enter your details (passenger detail, contact number, pick up address and enter etc.) and click to continue. 5. apply the promo code “CCRBMS” and you will see a success message. 8. See complete T&C* here. Exclusive CCRPL Anniversary Offer! Flat 6% OFF on outstation car rental services. Being 6 years on the road with you across 5000+ locations in 300+ Indian cities; this week, 'Clear Car Rental' is celebrating it's 6th anniversary on 11th November 2017 and on this occasion we would like to thank our customers for their love to our continued success and also delighted to announce a special give away deal of FLAT 6% OFF on outstation car rental in PAN India. Book your cab between 10th November to 25th November 2017 and enjoy a special FLAT 6% OFF on your outstation bookings! So Hurry up! Join us in the celebration. Search for an outstation cab for your desire destination on clearcarrental.com or Clear Car Rental Android App. Enter coupon code:- CCRANV6 before making payment. 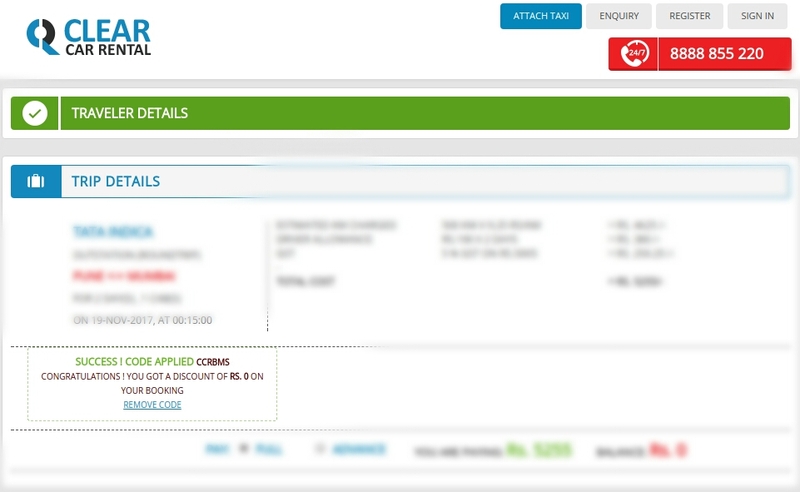 - Flat 06% Discount to all Out station bookings (Roundtrip, Multicity, Oneway). - Offer Valid on Mobile App & Desktop. - Travel date should be in between 10th Nov 2017 to 25th Nov 2017. - Ensure your booking should meet all eligible criteria of getting discount. - Discount amount will be deducted from the basic amount. - All standard terms & conditions of clear car rental pvt ltd apply. - Above mentioned Coupon should be applied at the time of booking confirmation. 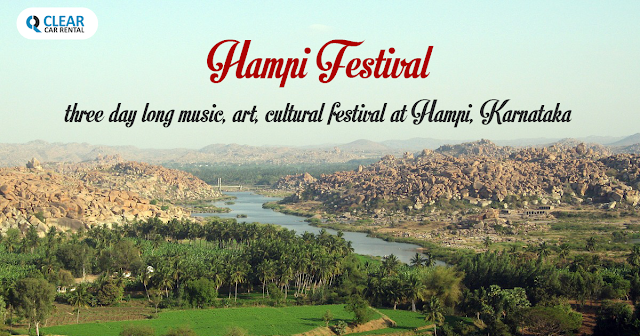 Every year in November, Hampi a UNESCO World Heritage Site in India and a erstwhile capital city of a glorious Vijayanagara empire comes alive with fantastic classical & traditional dance performances, skits and dramas, fireworks, puppet shows, Light & Sound show and many more activities. The occasion is 'Hampi festival'. The festival attracts significant numbers of local and international visitors to this world's largest open air museum where national and internationally renowned artists are invited to perform their art. Whole atmosphere is not only exciting but also enthrall an entire audience. It also keep them excited to visit this place every year. Hampi utsav/festival 2017 dates: 3rd November to 5th November 2017. Jindal Vijaynagar Airport in Toranagallu, Karnataka is about 37.6 km away from Hampi and connected daily to Hyderabad by Trujet airline. Second nearest airport is Hubli airport which is located approx. 167.1 km from Hampi. Thereafter to reach Hampi from the airport you have to hire a car or take a bus. Hospet is the closest railway station that is at a distance of just 13 km. 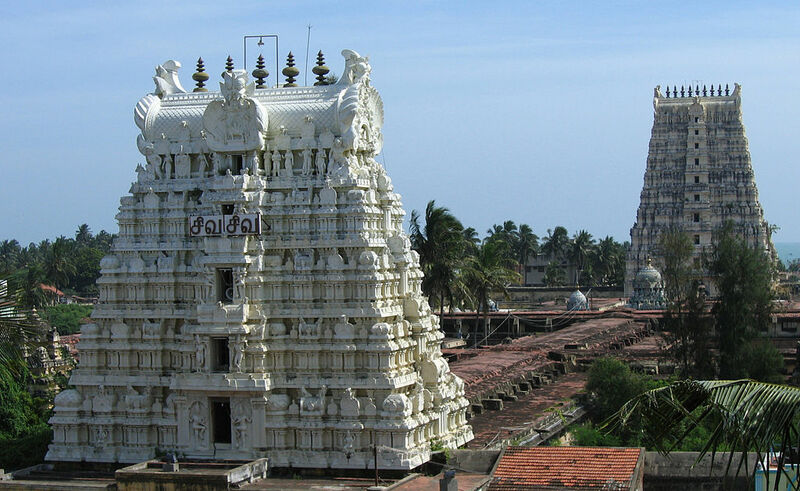 from there you can easily take a chauffeur driven cab/taxi to reach Hampi. Book your car in advance if you want avoid any hassle. Hubli to Hampi is approx. 164 km, Distance between Hyderabad to Hampi is approx. 378 km via NH 167 and Bangalore to Hampi is 357 km. Baisakhi or Vaisakhi is one of the important festival in North India, specially in Punjab. It has great historical as well as religious significance of celebration. Baisakhi is a spring festival that marks the Solar New Year and also the day on which tenth guru of Sikhs Guru Gobind Singh formed a 'Khalsa panth of warriors' in 1699. Usually the festival is celebrated on 13th or 14th April every year. How it is celebrated ? Farmers express their happiness while celebrating it with great joy and enthusiasm, on this day they wake up in the morning and go to temples and Gurudwara[ a place of worship for Sikhs] and thank God for the bountiful harvest. After the celebration Wheat harvesting begins in Punjab on Baisakhi. 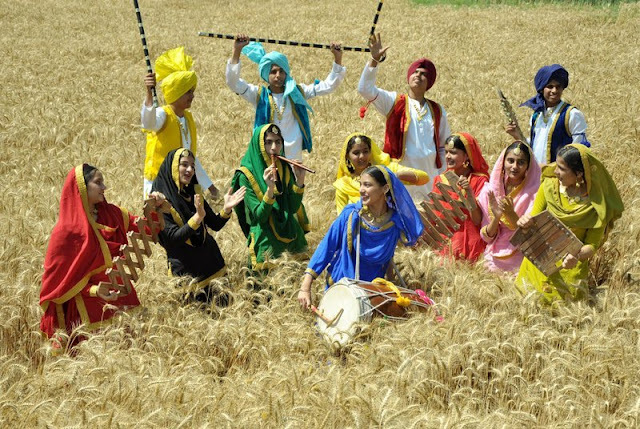 Baisakhi is celebrated by the people of Punjab with vigor and joy. Gurdwaras are decorated and hold kirtans (religious hymns) and people gather to socialize and share festive foods. Devotees dress up in special colourful clothe and do into the traditional folk dance 'Bhangra' and 'Gidda'. Besides the Punjab, Bengalis mark it as 'Naba Barsha'[new year]. On this day People take ritual bath in the Ganga river and bedight their houses with rangoli. The people in Bihar celebrate this day in April and November in honour of the Sun God, Surya at te place called Surajpur-Baragaon. This is day is also important for Buddists because Gautama Buddha attained enlightenment and Nirvana on this auspicious day. So, what are you waiting for? when you begin to plan your next trip, come by us at Clear Car Rental. We can find the right travel plan to fit your budget. Ram Navmi is one of the most auspicious Hindu festivals which celebrates as the birth of Lord Shri Rama. Lord Shri Ram who is believed as seventh incarnation of Lord Vishnu. The festival is celebrated with great vigor and enthusiasm. Generally devotees celebrate Ram Navmi by keeping a fast on this day, visit a Shri Ram temple, and participate in a Bhajan (a devotional song) on the day. 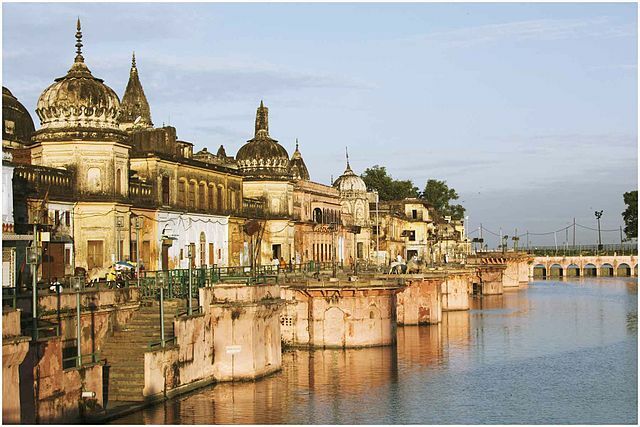 Ayodhya is on the first place where the festival is celebrates in large scale. 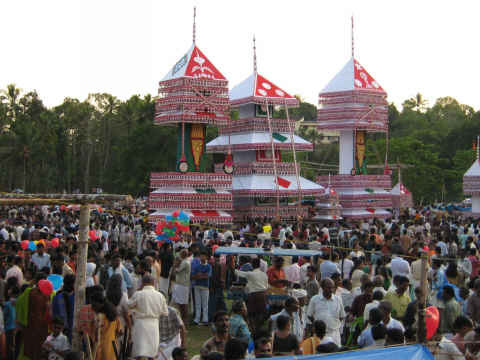 Situated on the bank of river Sariyu The city is one of the most holiest and popular place. 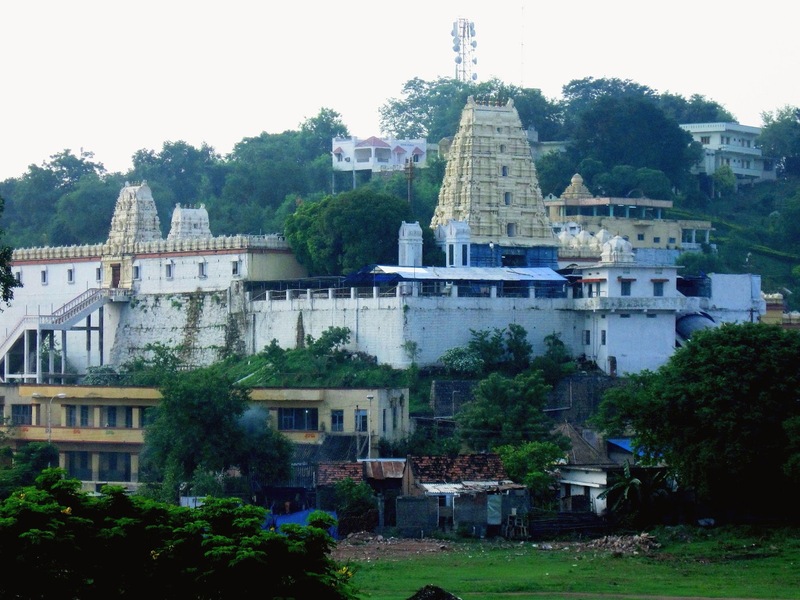 It is believed that it is the birth place of Lord Rama. A beautuful Chariot procession is must see event here during Ram Navmi. It is also famous for Ram Navmi celebration. The Sree Seetha Ramachandra Swamy shrine temple which was constructed in the 17th century is most famous temple here which is dedicated to Lord Rama. Sitamarhi is the third one of the most sacred place where you could witness the festival celebration. Also this place is so important because of it is considered as a birthplace of goddess Sita. Sitamarhi is situated in Bihar state. It is famous for it's temple dedicated to Lord Shiva which is believed to have been established and worshiped by Lord Ram himself. It is also that place from where Lord Shri Ram began his journey to Sri Lanka, to rescue Goddess Sita after being abducted by Ravan. So apart from this, which place do you like most to celebrate Ram Navami festival nears you ? 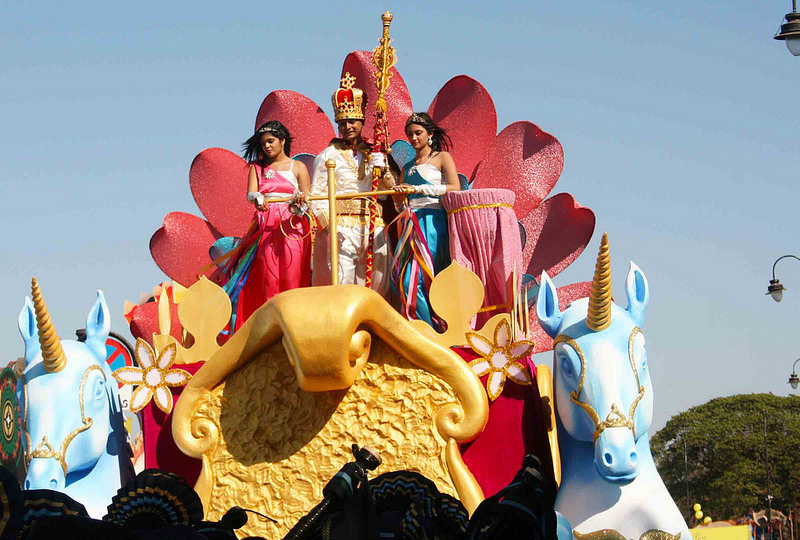 The Goa state tourism department organized four day long annual Goa Carnival which typically occur during month of February or early March, has been started on 25th Feb and it will continue till 28th Feb. The Carnival is being celebrated since the 18th century and it has an ancient history which date back to Portutuguese rule. This year location for this carnival are Panjim, Mapusa, Margoa and Vasco da Gama. In recent years it has been observed that the numbers of tourist for this carnival has increased. Generally Goa carnival celebration is melange of music, dance and food. It is also a best opportunity for visitors to get glimpse of great goan culture and traditions of the state. Street parades, Live dancing troupes, floats parade, electrifying music and folk dancers are the main attractions of carnival. Float of 'King Momo' [a character derived from the Greek god Momus, who is the god of satire] led all the parades in all cities. It's never too early and late to start your holiday but if you missed the event then don't worry apart form this there are many Goa tour options for every travel enthusiast who seeks an option from relaxing to adventure holiday. 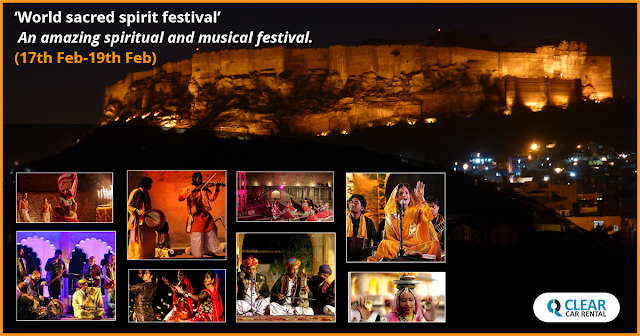 World sacred spirit festival conceived by the Mehrangarh museum trust is an annual music festival that takes place at Ahhichatragarh fort in Nagaur and Mehrangarh Fort in Jodhpur. The festival is a perfect blend of natural ambiance and harmony. It took place almost every year and grew in size with the number of attendees. The festival will have musicians from the Orient, Africa and India. The festival is celebrated with a aims at the conservation and continuation of Sufi/sacred traditions of India and the world. The participant artist in this magnificent festival are sitar player Irshad Khan, folk singer, musician and storyteller Parvathy Baul and musician Mehdi Nassouli, Oud player and Composer Issa Murad, flute player Rishab Prasanna, tabla player Zuheb Ahmed Khan from Palestine, flute player Lingling Yu from China and musicians Samuel Cattiau and Quentin Dujardin. This year's festival dates are : 14th Feb. to 15th Feb. at Nagaur and 17th Feb. to 19th Feb. in Jodhpur. See the festival's website for more info about event tickets and program details. Apart from the festival days you can take off some extra time to see other attractions of the state. The cultural and historical tours of Rajasthan offer an opportunity to get a glimpse of the exotic locales of the region. Independence Day falling on a Monday this year so it's long weekend time again! and this is the perfect time and opportunity for all those who wish to take a walk down memory lane and visit multiple patriotic places across the country. So here we are giving a list of some of places in India that make you feel patriotic. The majestic Red Fort located in old Delhi and it is visited by thousands of visitors each day. It has been important part of Indian freedom strugle. Pandit Jawaharlal Nehru's who had become the first Prime gave first Independence speech on 15th August 1947 at Red Fort. There are many attractions like monuments and museum that represent a glimpse of major phases of India's struggle for freedom. It is border post located on the Grand Trunk road and approximately 30 km away from Amritsar. 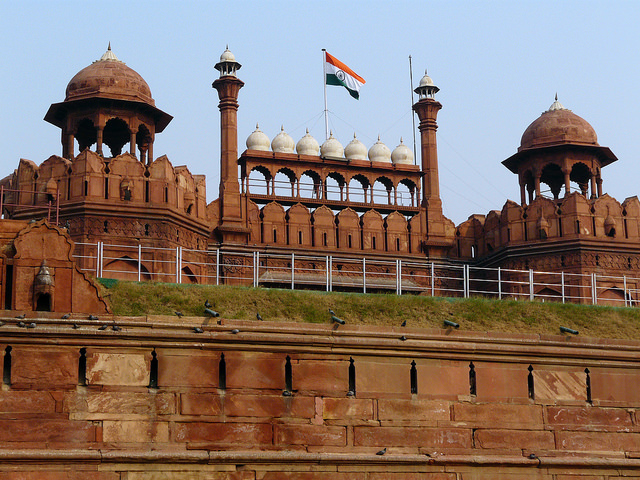 The place is must visit for to witness the popular ceremony of lowering of the flags of India and Pakistan. Situated on the bank of Sabarmati river and about 5 km from the center of Ahmedabad has historical importance. It was the place from where Mahatma Gandhi started his padayatra (foot march) in 1930 from Sabarmati Ashram to Dandi for the Salt Satyagraha. 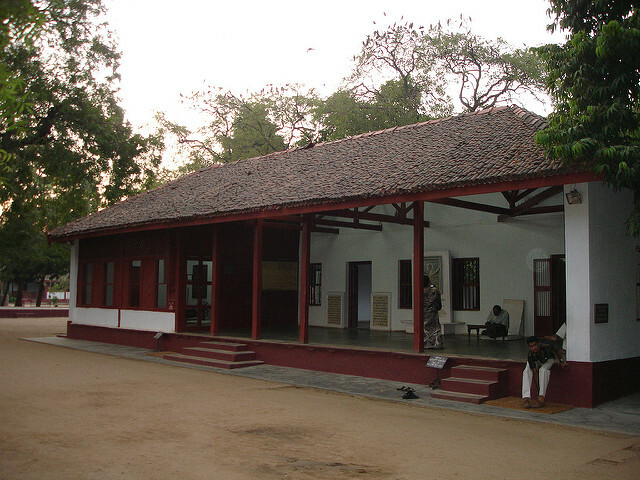 The ashram also know as Satyagraha Ashram. 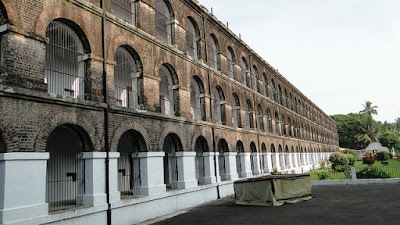 The Cellular Jail has been a mute witness to the long and glorious struggle of our revolutionary freedom movement. Vir Vinayak Damodar Savarkar, a famous freedom fighter of India, was imprisoned here for 11 years. Port blair is well connected to the main land by regular passage of ships and scheduled flights from KolKata and chennai. 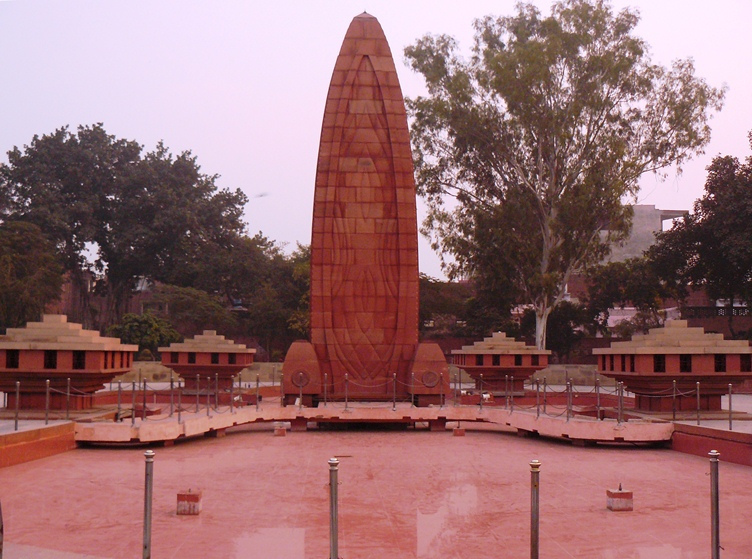 Jallianwala Bagh is a public garden in Amritsar and has an important place in the Indian history. It is the place where on 13th April, 1919, on the occasion of Baisakhi(Punjab's largetst festival) British soldiers opened fire against thousands of unarmed innocent men, women, and children without warning. One of the biggest public park located in Allahabad, Uttar Pradesh is associated with Chandra Shekhar Azad, a revolutionary's fight in the freedom struggle of the country. 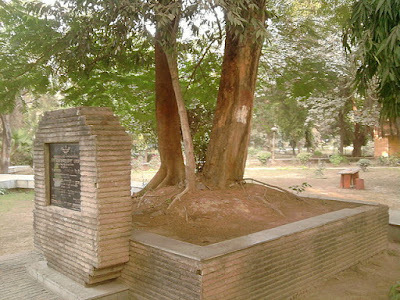 The park was earlier known as Alfred park but later it was renamed as Azad Park after freedom fighter Chandra Shekhar Azad, who sacrificed his life here. 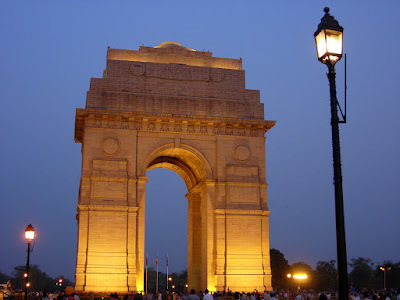 India Gate is the monument which has very important historical significance. It was built in honor of the 90,000 soldiers of the British Indian Army who died during the World War I and the Afghan Wars (1919). 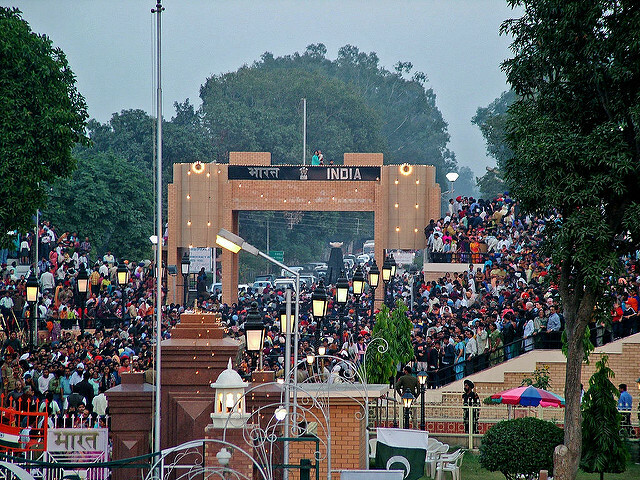 'Amar Jawan Jyoti' is another must visit place near India Gate. a site for Indian Army soldiers who lost their lives in 1971 war with Pakistan. 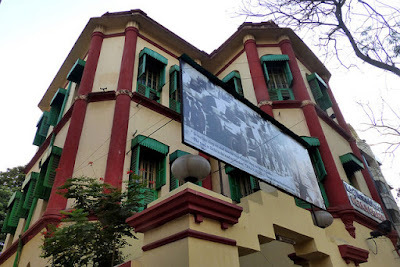 It is a ancestral home of Subash Chandra Bose, a patriot and freedom figher of India. It was built in 1909 by Subash Chandra Bose's father and Subash Chandra Bose spend his childhood till he escape to Berlin in 1941. So what are you waiting for? make the most of your weekend and holidays in this August with this awesome car rental offers and head out to any of these places. 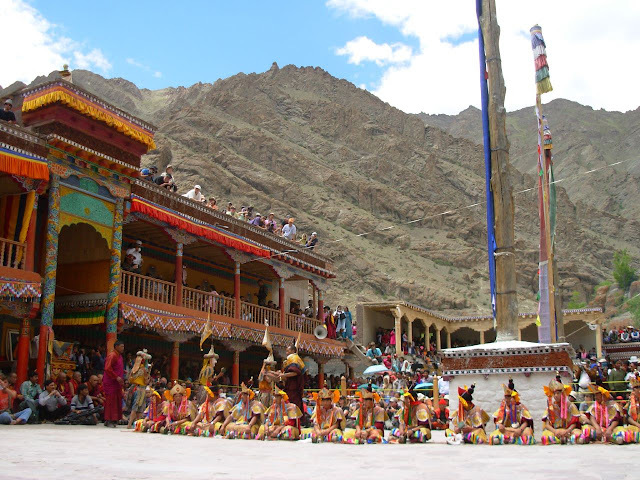 Hemis festival - It is a famous annual festival is held in late June or early July every year at 'Hemis monastery' the largest and richest monastery in all of Ladakh. This year it'll be celebrated on 14th to 15th July 2016. The ceremony of this two day festival begins on the 10th day of the Tibetan lunar month and commemorates the birth of lord 'Padmasambhava' (founder of Tantric Buddhism in Tibet). The local people of Leh Ladakh come to celebrate the festival in their traditional dresses. The festival take place in the courtyards of monastery with Cham dance or masked dance, performed by the resident Lamas of the monastery on the music of cymbals, drums and long horns. The cham dance represents the victory of good over evil. Chams are essentially a part of Tantric tradition, performed only in the gompas that follow the Tantric Vajrayana teachings. It is 40 kms away from the south-east of the main city of Leh in Ladhak district. Nearest airport is Kushok Bakula Rimpochhe Airport at Leh. There are good avaibility of direct flights from Delhi, Srinagar and Jammu. From airport you can hire a cab in advance to reach Hemis monastery. Chandigarh and Pathankot are the nearest railway station to Leh and Chandigarh to Leh and Panthankot to Leh distance are 750 kms and 772 kms respectively. You can reach Leh from Jammu, Kashmir and Manali by private vehicle or public buses. If you haven't seen or visited this awesome destinations in India yet, then why not take a customized trip to here using our tour planner Now!